Utility Flame Gel is a lightweight, inexpensive and safe-to-transport fire starter that has an unlimited shelf life. It may be used as a heat and cooking source in virtually any situation or environment - rainforest, arctic, or even high altitudes. It has a myriad of applications, including boiling water, heating a meal, making coffee, emergency sterilization, drying clothes, providing warmth and of course starting a fire. 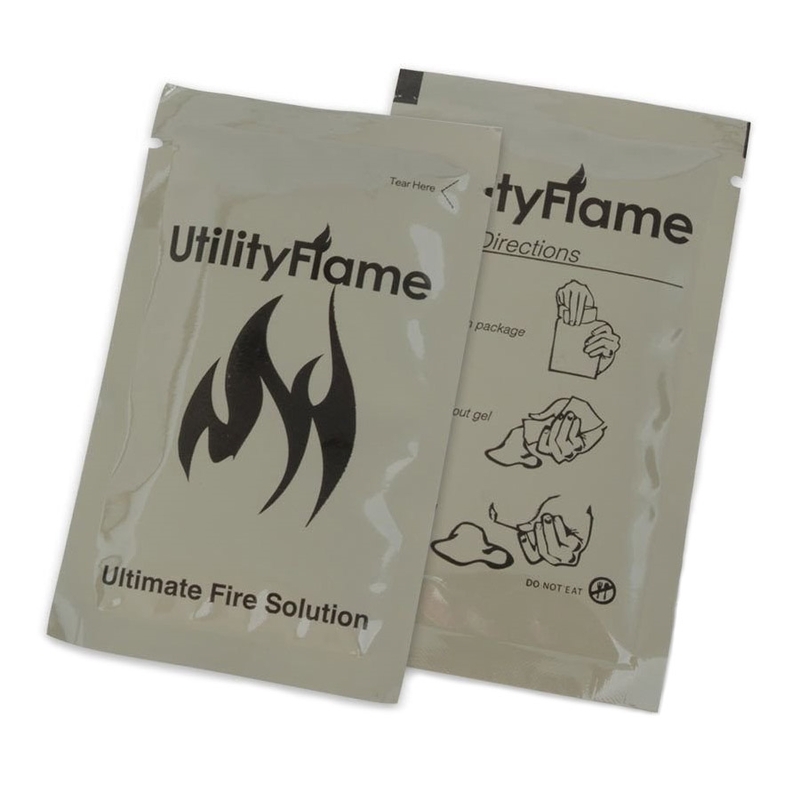 Utility Flame will not degrade after open and has an unlimited shelf life. Used by domestic and foreign military - no EPA or transportation restriction.